Since Halloween is only about a month away, we are ready to start playing with our food. We LOVE having fun with food at Halloween. There are just so many fun and yummy ideas! 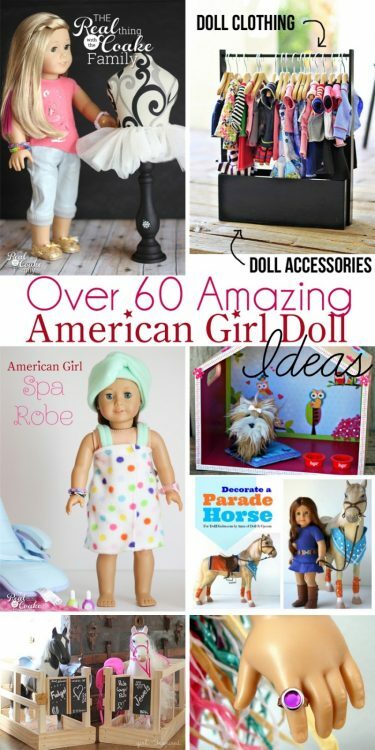 This year I want to show you a few of our favorites. I'm starting with a seasonal favorite that we turn into a spooky Halloween dinner. It is my recipe for Butternut Squash Soup. It is actually a healthy dinner….but shhh…don't tell the kids. Let's just have some fun playing with our food instead! Do you realize that Halloween is only about a month away? Crazy, right? Then the holiday season will officially begin and before we know it, it will be the beginning of a new year. Whew! I don't feel ready and yet I'm so looking forward to the Halloween season this year because we have so many fun Halloween dinner ideas. It always makes dinner a little more fun and a little less ordinary. 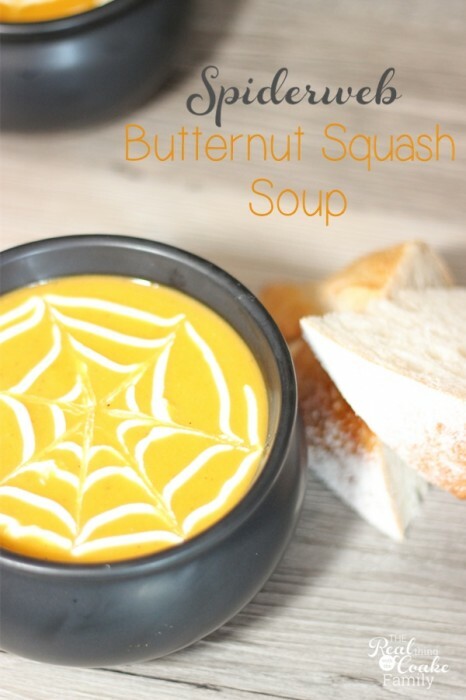 Even if it is simply taking a soup and adding a spider web to the top. It still makes it a little more fun and less like an ordinary dinner. Or is that just me? 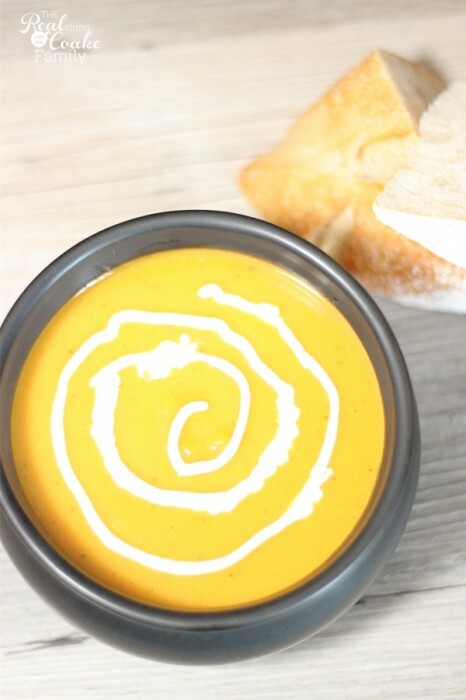 I've got my butternut squash recipe for you to download or print. It is a delicious and healthy recipe that can be made in about an hour. 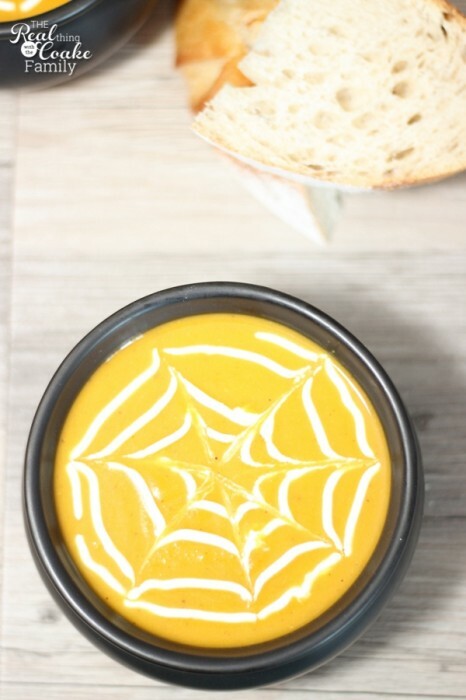 You can also do this same spider web with any soup. Start by ladling your soup into your bowl. We found these fun cauldron bowls at Crate and Barrel. They totally had to come home with me! They had a huge serving bowl as well. I knew I would have enough trouble just finding a spot for these in my cabinets and at $40 the serving bowl had to stay at the store. 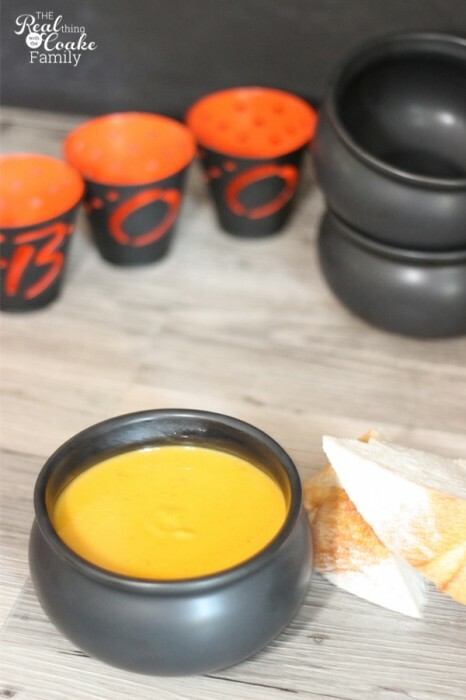 Aren't the bowls just too perfect for Halloween!? 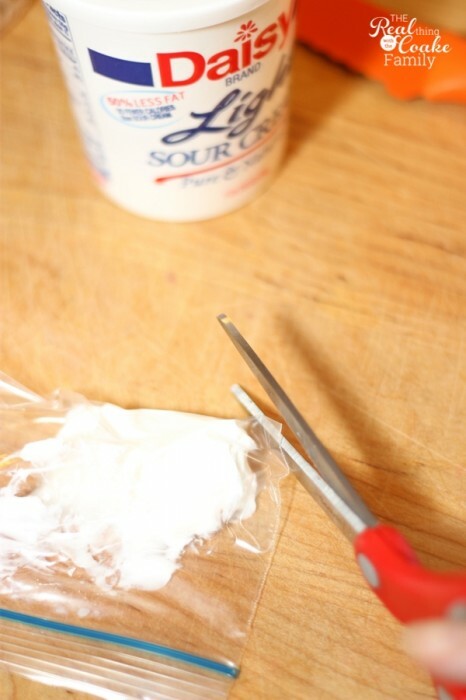 Place a few tablespoons of sour cream in a zipper bag. Cut a small bit from one corner of the bag. The bigger your snip, the fatter your web will be. Using the sour cream in the zipper bag, start in the center of your bowl. Make a circle spiraling outward in your bowl. Don't worry if you don't have a steady hand, as you can see I don't. You can use your knife to fix the less then perfect spots. The sour cream will be heating up in the hot soup and will be easy to smooth out. Place your knife in the center of your bowl. Drag it through the sour cream toward the outside of the bowl. Do this several times, until you have created a spider web in your cauldron soup bowl. Delicious! Doesn't everyone love spiderweb soup served in a cauldron. Cue evil laugh….Bwhahaha! Mmmm…this soup is so yummy! It is the perfect meal with a delicious hunk of bread on a cool fall night. Even though it is healthy, my kids willingly eat it up. They love the spiderweb and our new cauldron bowls just add to the fun! Sometimes I pair it with grilled cheese sandwiches as well. That makes a yummy dinner. It takes a little more time than the hunk of bread…and who doesn't love some delicious bread. I'm guessing you can tell I love bread! 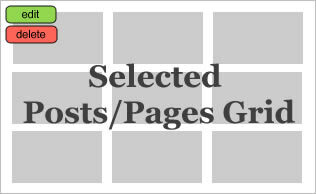 You can download or print your recipe by clicking on that link. 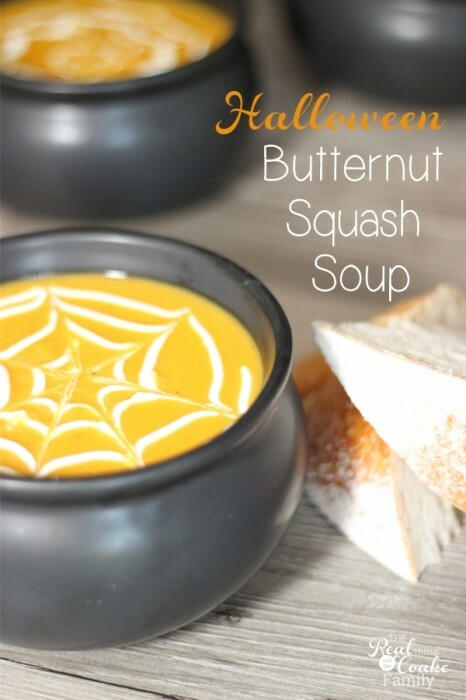 Enjoy your spooky soup! I have even more soups for you on my Real Yummy Pinterest board or on my Real Fall Fun Pinterest board. I LOVE this idea! 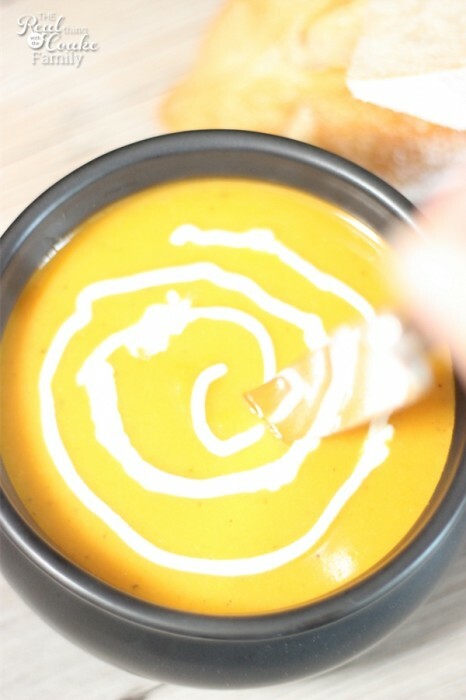 We eat so much butternut squash soup, and I have a feeling they would eat more if I top it like this! This is awesome! Saying hello from tutorials and tips link party!